We collect personal information from those applying for FOA certification or renewing certifications that include, but is not limited to, name, telephone number, email address, employer, professional title, home or business and mailing address, details regarding your entity and business, your job title, company contacts for corporate members, photographs, and education. At other times, we may collect information that cannot be used to identify you. For example, we may aggregate non-personal information about you and other customers who visit our websites as is done by our site hosts for gathering statistical data on the use of the websites. Aggregated information will not contain any information that can be linked directly back to you. We do not release any information on any of our members except we will confirm FOA certifications and Fiber U certificates of completion when requested by appropriate persons such as employers or personnel services. Our Service Providers (defined below) may also use other standard web-based technologies to analyze your movements while accessing our websites. Some of this information, including the IP address, may be stored on our Internet service provider’s server logs, and may be available for extended periods of time. FOA is in agreement with rights of Data Subject as set forth in Regulation (EU) 2016/679 of The European Parliament and of The Council of 27 April 2016. To that end, FOA has instituted policies that address the rights of the Data Subject, including, transparency, information and access to Personal Data, retention, rectification and erasure, and restriction on processing and portability. Those asking for confirmation of FOA Certification for a particular person will be told 1) if the person involved has been FOA-certified, 2) what certifications they hold and 3) if that certification is current, inactive or expired. We make reasonable efforts to ensure that our service providers have implemented physical, electronic, and procedural security measures to assist with safeguarding your personal information, and to help protect against unauthorized access and disclosure. Notwithstanding our efforts, the Internet has inherent security risks. We cannot promise, and you should not expect, that your personal information, personal searches, and other communications will always remain secure. You should take care with regard to how you handle and disclose your personal information or any username or password that you are required to use to access all of our services. Our website content is not directed toward children who are under the age of 16. We do not knowingly collect personal information from children. If we or our Service Providers become aware that a child has provided us with personal information without parental consent, that information will be deleted from our databases. If you have questions about personal information that may have been submitted by a child, please email us at info@foa.org. Each commercial e-mail that we send to you will offer you the opportunity to opt-out of continuing to receive such messages. We may take up to 10 business days to process opt-out requests. You may briefly continue to receive e-mail even after you have opted out. FTC e-mail compliance guidance allows us to send you transactional and relationship e-mail (e.g. renewal notices) without offering you the opportunity to opt-out of receiving those types of e-mail. 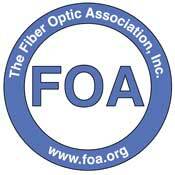 FOA has social media groups that provide forums for participation by anyone. The privacy policies on those media are set by the providers of those media and users should review their privacy policies also. We periodically verify that the policy is accurate, comprehensive for the information intended to be covered, prominently displayed, completely implemented and accessible and in conformity with the EU or other privacy principles. We encourage interested persons to raise any concerns using the contact information provided and we will investigate and attempt to resolve any complaints or disputes regarding the use and disclosure of personal information in accordance with the principles. If a complaint or dispute cannot be resolved through our internal process, we agree to dispute resolution using a third party resolution provider.